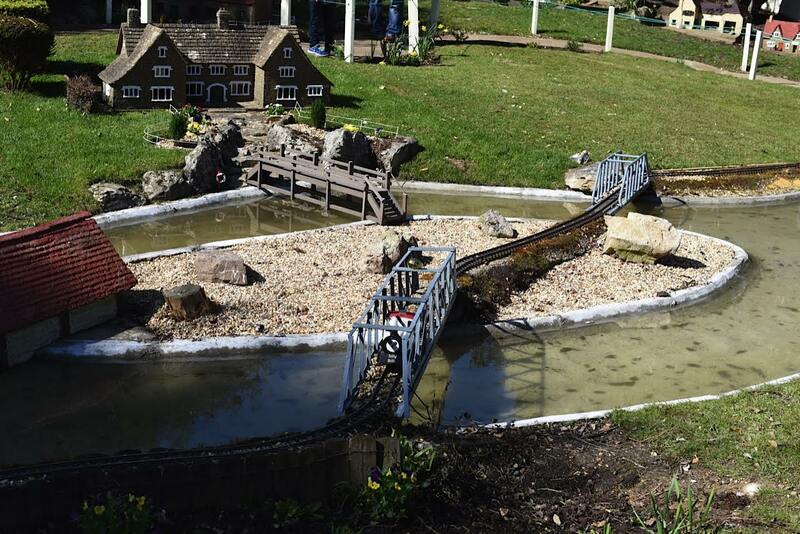 The Model Village is a 1930’s world in miniature and lies in landscaped gardens in part of the old Victorian Lumps Fort, near the Rose Gardens, just beyond Canoe Lake. 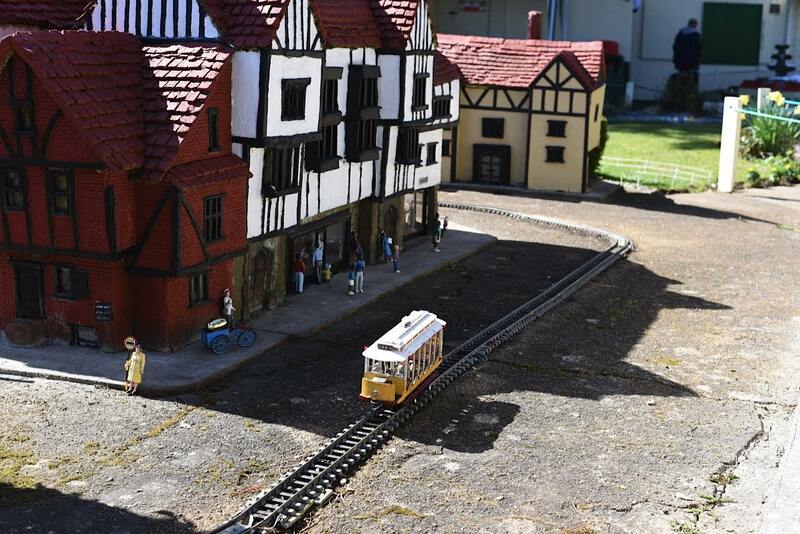 These classic buildings display an old-world charm and are enlivened by a large scale electric garden railway (maybe five train sets, inter-linking with each other), an 100 ft rifleman’s tunnel (residual part of the fort), a 10,000 gallon waterfall and stream and a small mechanical toy museum. 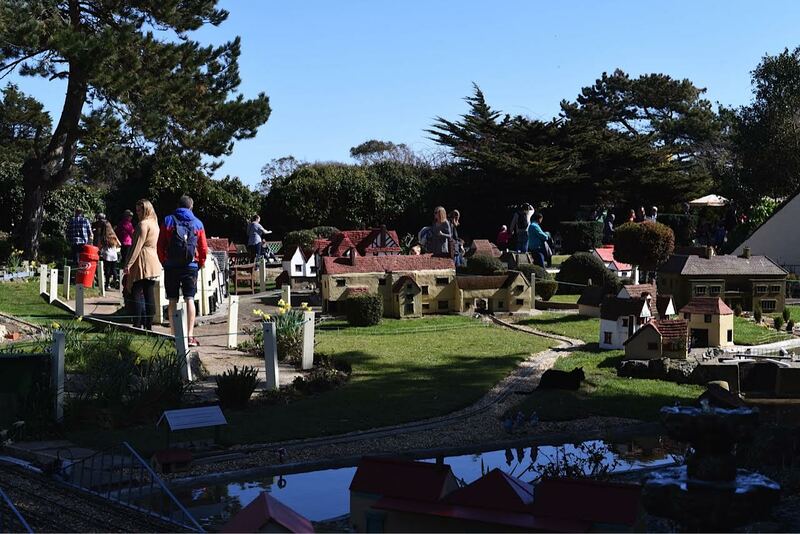 I find myself wandering why on earth I hadn’t visited before as I love all things miniature but am reassured that this has now been put right. Visiting with camera in hand, The Hound in tow, we slowly wandered around the site, seeing couples getting married, trams going through medieval overhanging buildings and boats out on the stream. Climbing up to Castle Hill, there’s a larger scale castle which has great views out across the seafront and South Parade Pier. Also of note is the Rifleman’s Tunnel and the model of the old Portsmouth Townhall and Spinnaker Tower (made with matchsticks it seems). 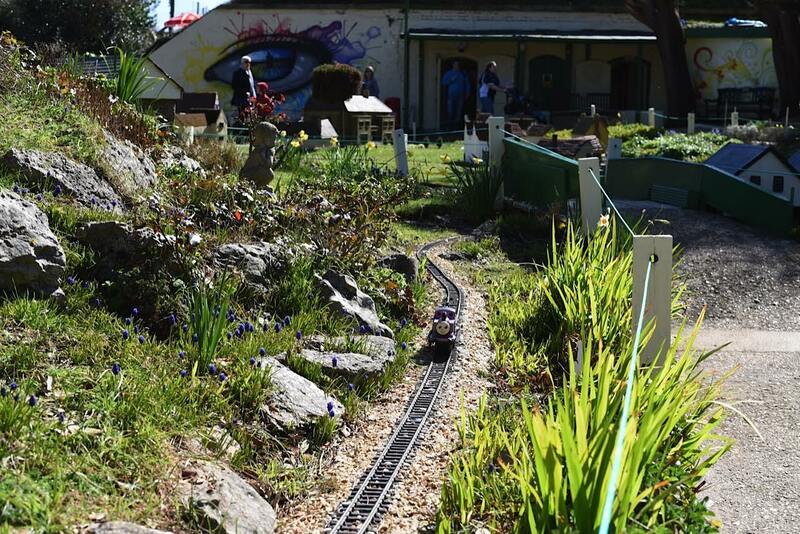 Open to the elements, this Model Village requires a dedicated team of volunteers and owners to keep it in prime condition and after this past bad weather, further restoration will probably have to be done. It’s rather like the Forth Bridge I suspect – when you have painted the entire bridge, it’s time to start again. 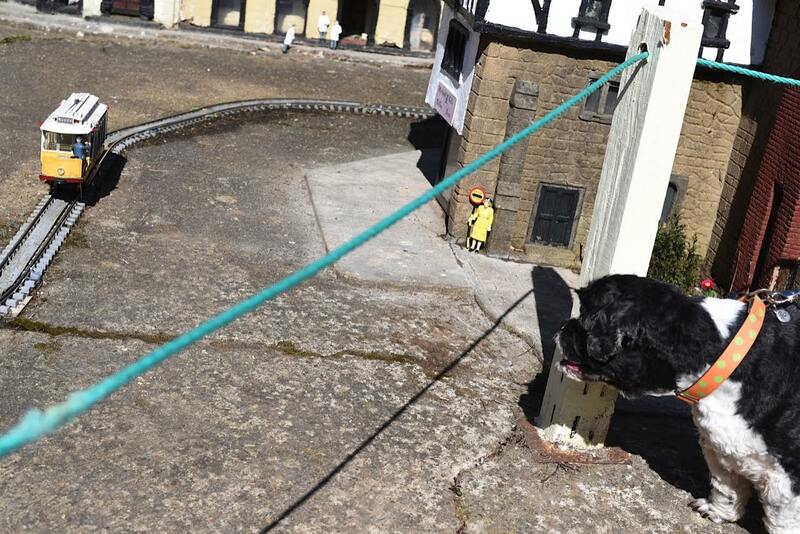 When I visited in March sunshine, the village was teeming with excited rugrats who particularly loved the train and tram sets chugging around the site, over bridges and through little tunnels. The tram in particular, painted yellow, was a firm favourite with The Hound who watched it avidly (he could have stayed for hours) and wanted to take it home. 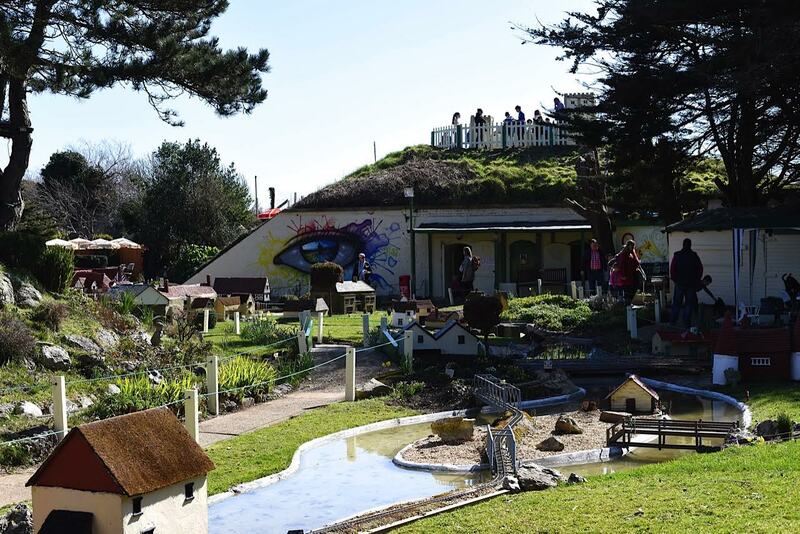 Visit when the weather is clement – current charges for adults are £3 and kiddies, £2. Well behaved dogs visit free on a lead. There’s a resident black cat who doubles as a security guard – you have been warned. Me too. Never mess with a kitty!